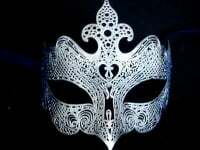 Chic and stylish, this black filigree masquerade mask boasts minimal design to ensure it complements all of your wardrobe. 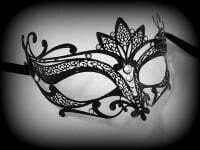 The perfect way to make your party look exude glamour, this Petalo Filigree Masquerade Mask - No Strass (Plain) is simply stunning. 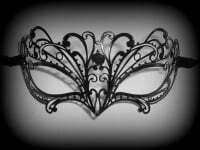 This gorgeous mask for a lady is designed in nero black painted metal lace in the shape of beautiful plant petals. Transform your party wardrobe with this feminine mask that you'll love to wear for every occasion....Simply stunning.